First Listen: Joe Henry, 'Reverie' Recorded in his basement studio with the windows literally wide open, Henry's latest album is a beguiling and beautifully disheveled set of acoustic songs. Joe Henry's new album, Reverie, comes out Oct. 11. Joe Henry has never been easy to pin down. In a career spanning more than two decades, he's had his hands in a bit of everything, from gospel, folk and country to experimental rock and pop, soul and funk. But throughout his years of sonic shapeshifting, Henry has maintained a singular voice defined by his love of strange, almost magical spaces. His songs, regardless of the form they take, always seem to drift through shadows and fog. 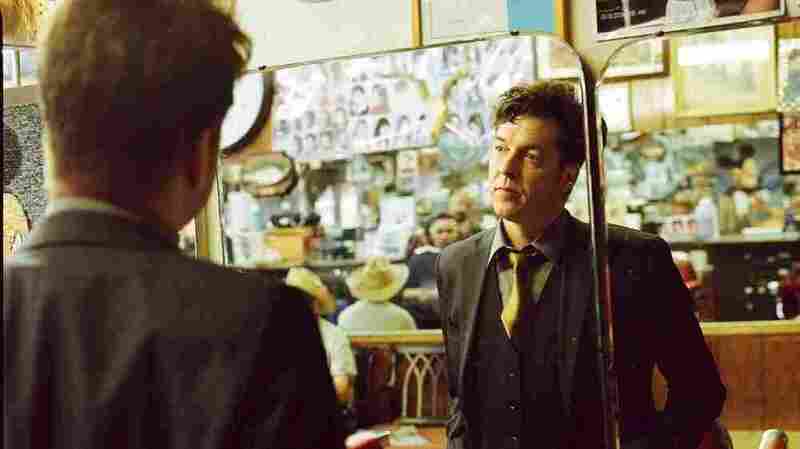 Joe Henry's latest album, Reverie, is no exception. On the surface, it's a straight-up roots record: a mix of acoustic songs steeped in the spirit of early-20th-century ragtime and blues. They stagger and strut woozily across dusty floors on sultry nights, and there's a creaky wooden circus echoing from the edge of town. But, as with most of Henry's work, things are rarely what they seem. Much of the mystery in Joe Henry's music is suggested in the production more than any particular line or melody. Henry recorded Reverie in his basement studio and left the windows literally wide open. You can hear the street sounds — a barking dog, birds chirping, lazy traffic — throughout the album. He captured these songs as loosely as possible, in their rawest form, with no studio trickery. As a result, the music rattles and trembles, and feels as though it could break apart at any moment. Henry also stokes the mystery with beautifully seductive narratives and themes. Much of Reverie is haunted by the elusive, transformative passing of time. Beauty fades, friends and lovers are lost, the world fills with despair and grows weary under its own weight. In one song, "Room at Arles," Henry recalls his friend Vic Chesnutt, a brilliant but troubled artist who took his own life after years of battling depression. Joe Henry has spent a lifetime helping other musicians find their voices, producing some of the most memorable albums from Aimee Mann, Aaron Neville, Betty LaVette and many others. But his finest and most arresting work has always been his own. Reverie is Henry's 12th full-length album and possibly his best. If there's a restlessness in his music, it settles, if only for a moment, on this beguiling and beautifully disheveled collection.